“It’s time to wake up, Jun,” my mom whispered. I felt a tap on my shoulder but I barely moved. I remained still and tucked in under my blanket on an unusually cold December morning. “You have to see the paról,” she prodded. I quickly jumped out of my bed as soon as she reminded me about the lantern. I was up way past my bedtime the night before helping my brother-in-law build a lantern for school. 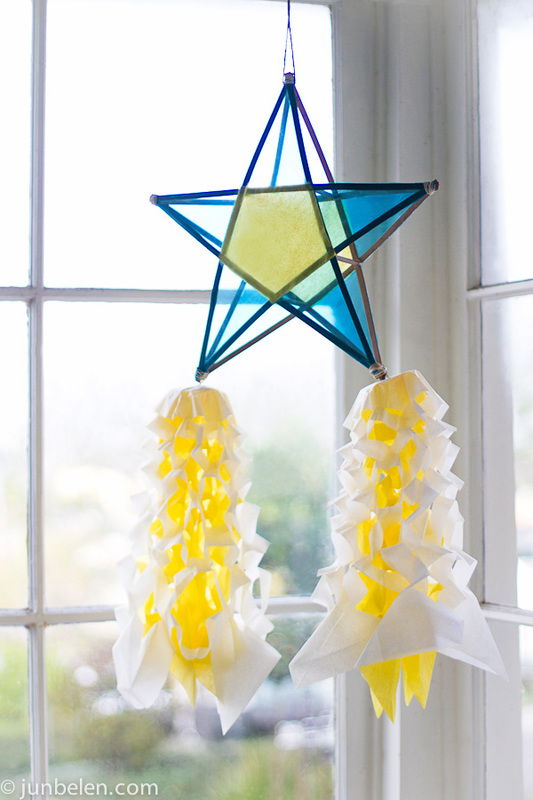 It was a tradition back in elementary school to make star-shaped lanterns to celebrate Christmas. The popular paról — the Filipino word is derived from the Spanish farol, which means lantern — is ubiquitous during the Holidays. They are proudly displayed in homes by windows, in porches, or in verandahs. They are hung as decorations in churches, schools, markets, and shopping malls. The lanterns are traditionally made with bamboo sticks and paper but the fancier ones are made with native capiz shells embellished with multicolored lights programmed to dance in whimsical patterns. “What time did he finish? Did he get enough sleep before work?” I asked worriedly. I was folding and cutting strips of papél de japón when I finally gave up and went to bed. My brother-in-law insisted that I get some sleep and promised that the lantern would be complete by the time I get up in the morning. He was a true lifesaver. When I was little, I was terrible with arts and crafts. I was good in Math — brilliant, in fact — but I was absolutely horrible in all things crafty, from sewing and knitting to woodworking and pottery. I couldn’t fold a proper origami or even carve a simple soap sculpture let alone make my own paról. This was why I was eternally grateful for my brother-in-law. The star was stunning. The bamboo frame shaped into a simple five-pointed star was wrapped fastidiously with cellophane. The shiny red and green panels looked like stained glass windows. The star had a halo around it made of a sturdy wire wrapped with strips of old newspaper and decorated with ruffled papél de japón. It had a pair of tails made of the same delicate Japanese paper, which fluttered flirtatiously in the wind. My mom was right. It was beautiful. My paról-making skills have infinitely improved over the years even though my soap-carving skills have not. My brother-in-law taught me well. I still make Christmas lanterns whenever I get hold of those hard-to-find bamboo sticks and cellophane. I used to have a capiz lantern that I lugged back to California from home in a padded balikbayan box but it fell apart in one of our moves. It just feels more like Christmas with these magical lanterns around. Like when there’s bibingka and hot tea or jamón and queso de bola pan de sal sandwiches. It just feels more like home. I guess, that’s what traditions are all about. 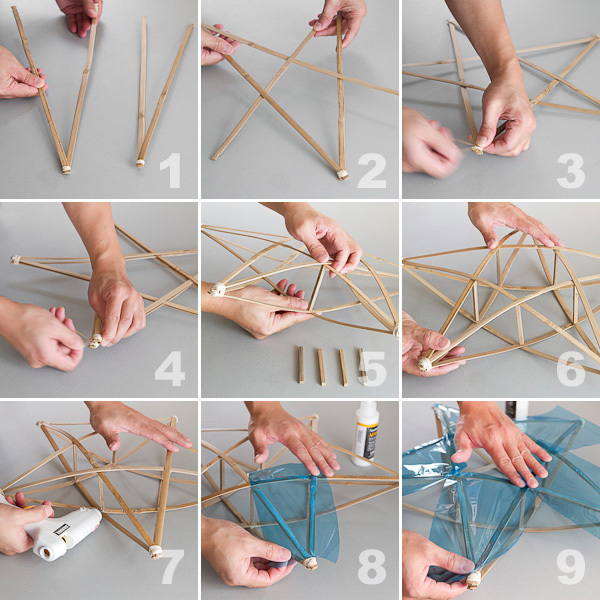 Tie a pair of bamboo sticks together on one end with rubber bands to form a V shape (1). Make three more pairs. You will have four Vs and two unattached sticks. Lock two Vs together to form an A shape and tie the two ends together with rubber bands (2). Thread one of the single sticks through the center of the A to form a star and tie the two loose ends together with rubber bands (3). Do the same for the other two Vs and remaining stick. Tie the two stars together in all five points using rubber bands to form a single star (4). Carefully pull apart the center of the frame and place a peg in one corner of the pentagon (5). Place a peg in each of the other four corners (6). Secure each peg with glue using a glue gun (7). 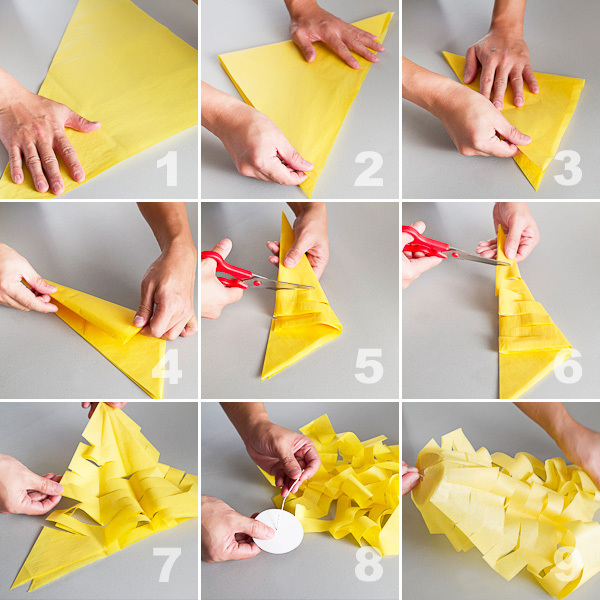 Cut strips of cellophane, tissue paper, or washi paper big enough to cover the individual panels. Glue the strips of paper onto the frame with a glue stick (8). Cut the extra paper around the panel as close as you can to the frame. Clean up the edges by gluing and wrapping the uncut edges of paper around the frame. Continue until all panels are covered with paper (9). Fold into a triangle (1). Then fold again into a smaller triangle (2). Then fold again for the third time into a smaller triangle (3). Take the top corner of the triangle and fold over to the base across (4). Cut across the folded paper (5) starting from one side toward the other without cutting completely. Leave a half-inch space from the edge of the opposite side. Cut another slit one inch above previous slit but start from the opposite side. Again, do not cut completely but leave a half-inch space from the edge. Continue cutting slits starting from alternating sides of the folded paper until you reach two inches below the tip (6). Cut a small hole at the tip. Carefully unfold and separate the sheets of paper (7). Fasten a short piece of twist tie or string in the center of each cardboard cutout (8). Insert the twist tie through the small hole at the tip of the tail (9). Attach the tails to the star using the twist ties or string. Many thanks to the Bayanihan Community Center in San Francisco for providing the bamboo sticks and pegs. Every year, the Bayanihan Community Center organizes paról-making workshops and the annual Paról Lantern Festival and Parade in downtown San Francisco. You can order paról kits here. And, of course, many thanks to my brother-in-law, Joven, for teaching me how to make a paról. Nice memories. I went to grade school in the Philippines so I know that this is always a school project to do during Christmas. One of the traditions of a Catholic education and displaying it in class. You can differentiate the rich from the not so rich(us) because our Parols were simple while the others made Parols that looked like they were made by a skilled artist. No matter, its bringing it home to display in your own home that made us the proudest. Always enjoying reading the blog. And Congrats on your year with your pictures being published in several magazine/newspapers. Merry Christmas and Happy New Year Jun! Thank you so much! And Happy Holidays to you, too! I am comforted by the fact that you went through the same kind of Catholic upbringing that required making lanterns during the Holiday season. Kidding aside, I loved looking at Christmas lanterns growing up and I still do. It just reminds me of home and Christmas at home. Thank you very much for following the blog and for the well-wishes. I am so excited that it is slowly getting noticed. Thank you for this great post- The instructions and the photos would help even an instruction-phobic person like me! Your parol looks great! I love the tail, so festive. To add a little bit of Paskong Pinoy into our American Christmases, I started making parols at home too. My father actually brought me bamboo sticks all the way from the Philippines as pasalubong one year! 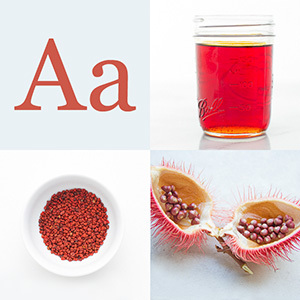 This is a marvelous tutorial and a lovely anecdote — I hope everyone will try parol-making. Thank you, Tracey! And yes, I’ve seen so many unique parol creations back home, back in the day. UP Diliman has an annual Lantern Parade that has lanterns and floats. Have you been? Amazing is an understatement. Thank you, Samantha! The Bayanihan Center has parol kits. I hope you’ll get a chance to make one with Henry. They come in small sizes, too. Perfect for the little kids! I need to ask my mom about these! I’d love to make this. Thanks for sharing and posting instructions and photos! Oh Jun, you made me so homesick for Christmas back home! But it’s a good feeling, because that way, we make it a point not to forget our traditions. I will pass on this helpful step by step photos to my sons. There is nothing like the Filipino “parol”! Thanks for this wonderful post and sharing the knowledge. Merry Christmas & may 2012 bring you all the best! Yes you are good at crafts, Jun! Despite all the modern and elaborate parol designs, this is the one that’s iconic of Filipino Christmas. It brings to mind all the sights, smell and feel of Christmas back home. thank you for reminding us of the significance of the PAROL Living overseas makes you realize the beauty and the essence of our traditions and practices. Your parol looks beautiful… your grade school teacher would be proud. Maligayang Pasko Jun! I’ve always wanted to make one of these ever since I went to the Philippines for Christmas!! Thank you for the tutorial! Hi Jun! Just thought I would tell you that this post was mentioned on the bacstudentdevelopmentblog.blogspot.com. I saw it because my son goes to Boston Architectural College and I like to keep up with activities there. He is also in the National Organization of Minority Architect Students (NOMAS) due to his Filipino heritage. Barbi, thank you for the note! Wow! This is very cool. More power to your son. When is he graduating from college? Merry Christmas to you and your family! He has another two years to go. He’s an “older” student (36) and I’m proud of him for going after his degree and and doing what he really wants in life! Merry Christmas to you and your family, too! Thanks so much! I’m a preschool teacher, and several kids had expressed interest in making a parol after reading Iza Trapani’s Jingle Bells (about holiday traditions around the world). This may be a little beyond our skill set, but we’ll give it a try! This is great. I teach in a private school here in Northern Virginia and would very much like to teach my 2nd graders how to make parols. Can you tell me where you get bamboo sticks? I should have read all the comments. I now know where to get them. You’re very welcome and thank you for writing. Let me know if you need help finding the bamboo sticks. I think the Filipino Center in San Francisco has it year-round and you can have them shipped to you. The cellophane on your parol looks lovely – I think I’ll try it this year! Thank you! I’m a 2nd Year student and our class have a project in making a parol and your steps are simple but really helpful! Happy Holidays! Thank you, Ivy for writing! I’m so happy to hear that I was able to help with your class project. Happy Holidays to you and your family. Best of luck to you with school. This is very helpful! It reminds me of my gradeschool years and my dad usually have this traditional pinoy lantern during Christmas. I live in Switzerland now and my husband (a Swiss) made three of this and its hanging outside our balcony now! I will also make my future children to make one every Christmas….a good Filipino tradition. MALIGAYANG PASKO! Thanks for this! I never really learned how to make a Parol (maybe they didn’t teach it to girls? Then again, I went to an all-girls school? ), so I plan to use your instructions to make a very special pressie for the retired Parental units. Cheers! wow .. .nice and simple instruction…thanks . . we have in Australia Xmas in July, which our Xmas is so Hot and Heat wave . . lol . . I am Making a Big Xmas Improvise Xmas Tree in the middle of the big Event . . Thanks a lot . . superb . . . Thanks a lot. I helped my daughter make her project parol’s tail! I followed the instructions and it really turned out beautifully! Thanks for sharing the procedure on how to do it! Lila, happy to hear you found the instructions useful. Happy Holidays! Your blue, yellow and white parol is absolutely stunning! I copied your colors to some of mine. It’s been very well received and I can tell you they are very fun to make too!